All conference events will be held at The Hotel unless otherwise noted. Our AURP membership are invited to attend the groundbreaking ceremony of the Viva White Oak facility. Learn more about this cutting-edge mixed-use community. Limited seats are available for this exclusive event. Learn more about this cutting-edge mixed-use community. Limited seats are available for this exclusive event. Attendees are invited to attend the AURP Board of Directors' Sponsor Appreciation Dinner. *Attendees must meet in The Hotel lobby no later than 1:00 p.m. We will depart promptly at 1:15 p.m. for The DC Experience: AURP’s Day on the Hill event. Senior-level research park leaders are encouraged to attend this session where we will discuss the hot topics, trends and challenges at the forefront of research parks today. Wendy Kennedy, President & Founder, WKI − wendykennedy.com inc.
Communities of Innovation, and Leadership Roundtable participants are invited to join AURP sponsors and board of directors for a networking lunch. Please note: You must have your session ticket to attend. Introduction of new AURP members since October 2017. Membership Committee Co-Chairs Greg King and Jim Currie will formally introduce the AURP’s newest members. Organizations that have joined since the 2017 International Conference will be recognized on stage and receive their membership certificate. Join us in welcoming our newest AURP members throughtout the globe. Jonathan Genn, Global LifeSci Development Corp.
Mason Ailstock, President, AURP; Vice President of Operations, The University Financing Foundation, Inc.
Join your friends and colleagues at the Welcome Reception, where you’ll kick off the conference by mingling with research park professionals from around the world. Enjoy refreshments and be sure to say hello to the many excellent sponsors of the 2018 International Conference. You won’t want to miss this networking opportunity. Cheers! University of Maryland FUN RUN! Get ‘ur motor running! Hook up with Team Darmody in The Hotel lobby for this morning’s body-moving adrenaline rush to get your brain revved up and ready for the day! All attendees are welcome to participate at this in-person meet up of our P2P groups, which meet up virtually bi-monthly for collaboration and discussion on the latest trends, problem solving and networking. For more information on the Peer to Peer Networking Groups, visit here. Sponsored by The University Financing Foundation, Inc.
23rd Annual Awards of Excellence where AURP honors industry leaders. SCALE AND SALE: HOW TO GROW YOUR BABY UNICORN! This evening as we wrap up a full day of learning, networking, and challenging our concepts and peers, gather at the Top of the 7’s, penthouse of The Hotel, to have fun, relax and remember what work is all about: FUN! Our tailgate-themed dinner will offer food, games and merriment! Phones allowed only for photo ops! Boxed breakfasts are available for pick-up in the Lobby Bar to eat on the go either to one of our tour locations, your return destination or while relaxing at The Hotel before you head out on your travels for home. Travel safely. 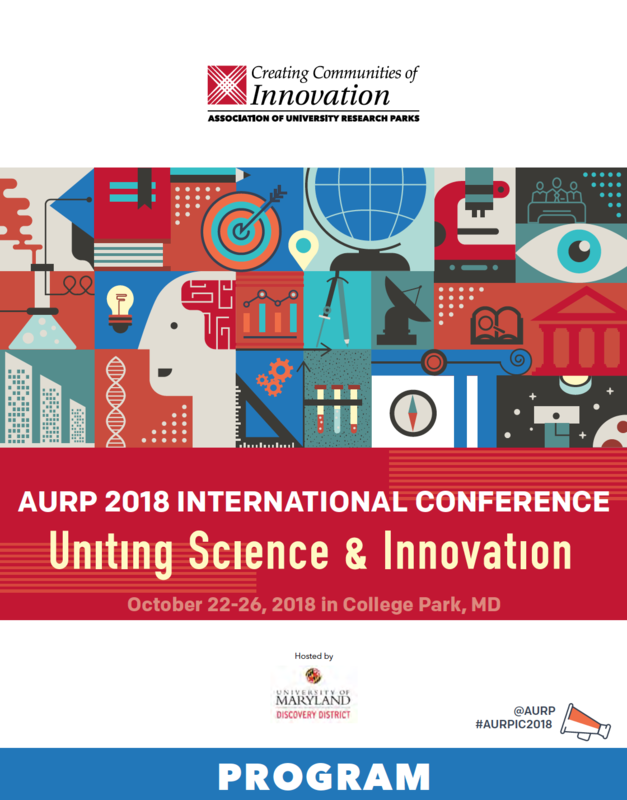 We look forward to seeing you at AURP’s 2019 events!